Rich gives me a hand with some of the promotion tasks of the blog. He often sorts through posts or Pins of bloggers I know to help me find material to Share, for example. And he knows my parameters – I am willing to sometimes Pin or Yum food that I cannot myself eat, since most of my readers do not avoid gluten and/or sugar, and would still be interested in such recipes, but I generally don’t Share them on Twitter or in Facebook. 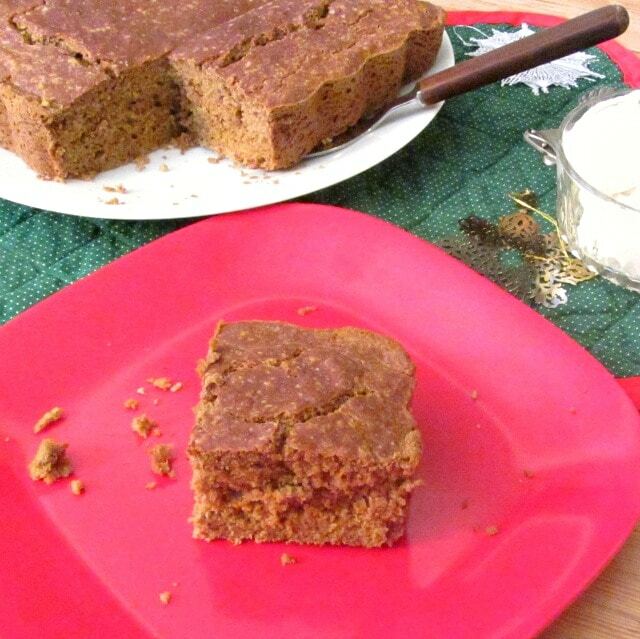 But there is also gingerbread as a cake – moist and rich, but also surprisingly easy. Hunting down recipes, I found that in some of my antique cookbooks it was listed in the quick bread chapter, or with tea breads, rather than as a cake, which makes sense when you realize that the technique is significantly different from that of most cakes that we make. Last year, I did not feel ready yet to venture into gluten free, sugar free cake baking so I concentrated on trying to reproduce the flavor in other items – muffins and waffles. Now, much of the flavor in modern gingerbread comes from molasses, so I never could get it exactly, but I think I got pretty close. 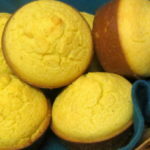 And, well – I have more experience now with gluten free baking, and have done much more general research into it. 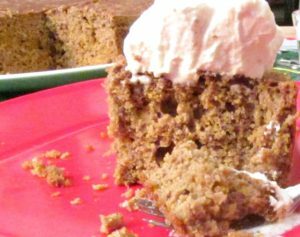 So I ventured into it… And we ate rather pleasant ginger flavored coffee cake, and a few other variations – all nice, not quite quite gingerbread, until I added sour cream. 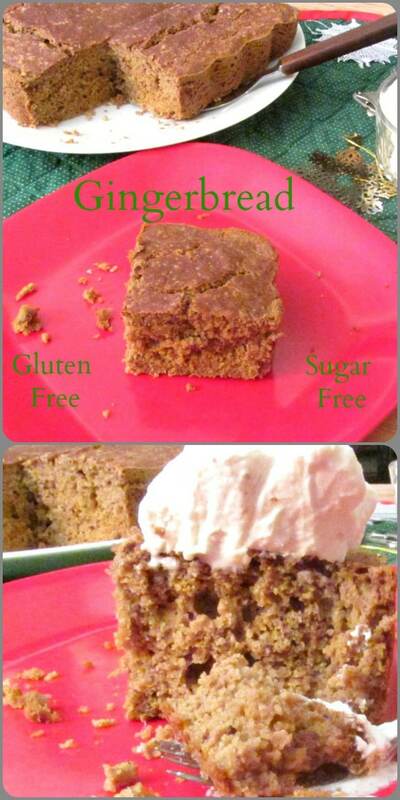 And that was the magic… for a sugar free, gluten free gingerbread. OK, first – to be reminiscent of the flavor of molasses, it has to be tangy as well as sweet. 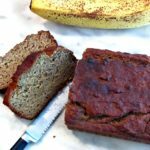 Teff flour helps that a lot, but I was missing something… I realized many of the old recipes called for baking soda but no acid other than the molasses. Right – acid… And some of them did call for buttermilk, and a few modern ones enriched that into sour cream… See, molasses also holds moisture, so my cake had been too dry – sour cream makes a moist product. I’d love to tell you that I’d done this without added gums, but commercial sour cream already includes stabilizers (the one I used, at least, has guar gum.) In most cases, I find that very annoying, but I suspect it did help with the texture here. It is still much less than most recipes tell you to add, so if you normally avoid gums in baking, but can eat sour cream with no issue, you should be fine. One really interesting thing about all the old recipes is that they tell you to melt the butter. So the first thing to do is melt it, then set it aside to cool before you add it to the other ingredients. While you have the butter out, grease an 8″ square cake pan. Preheat the oven to 350°F. 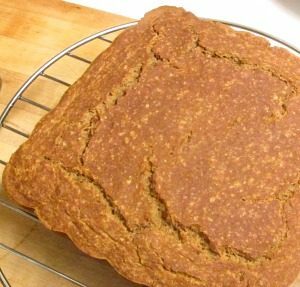 If, in fact, you can eat gluten, and are only interested in a sugar free gingerbread, well – first I suggest you go ahead and use the flours I did, and you’ll have a delicious whole grain cake. But if you want to use AP flour, sub it, by weight, for the millet, but still use the teff – it’s an important part of the flavor. Then stir in the baking soda, salt, and Gingerbread Spice Blend. 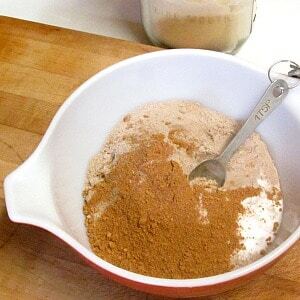 If you have not made up the blend – well, first, I really like having it on hand to toss in all sorts of things, so you might want to – but you can just use ginger, though you will lose some flavor. Then mix all the dry ingredients well. I like to use a whisk, it seems the most effective. Set that aside, and mix the wet ingredients. 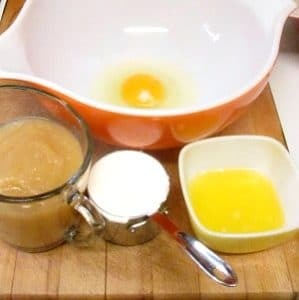 Take a larger bowl, as all the batter will end up in this one, and beat the egg with that whisk until light and frothy. Then add, one at a time, beating until smooth after each addition, the unsweetened applesauce, sour cream, milk, and that melted butter. Now add the dry ingredients to the wet ones, and stir well. (At this point I switch to a silicone spatula.) I always add dry to wet, since that avoids little pockets of dry ingredients at the bottom of the bowl if you chanced to miss a spot… Mix the batter until smooth, then pour into your greased baking pan, and put into the oven. Bake at 350° for 45 minutes, or until a knife comes out clean. Let it rest in the pan for about five minutes (it cools a little and the cake firms up) then turn it out of the pan onto a cooling rack. Do let it cool a while before eating – it is good warm, but not hot. I serve it with whipped cream, to which I added a pinch of ginger. 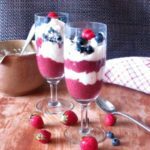 If I make it for guests, I’ll sweeten cream for them – I have found in the past that doing so adds just enough sweetness that those who eat, and expect, sugar are fine with my desserts… For me, there is enough sweetness from the applesauce that I know this is dessert. Preheat oven to 350. Grease an 8" square baking pan. Beat egg in a larger bowl. Add remaining ingredients, including butter, beating until smooth after each addition. Pour batter into greased baking pan. Bake at 350 for 45 minutes, or until done, when a knife in the center comes out clean. Let rest in pan for five minutes. Turn out onto a cooling rack. Let cool at least partially before serving. Serve with whipped cream (sweetened or not) for a traditional and delicious garnish. Love, love, love gingerbread! Thanks for the recipe! Sounds delicious! I love the aroma of gingerbread spice. Thank you! Oh, yes - the best thing about this in many ways was all the recipe testing... the house smelled of gingerbread for a week! Looks so good and moist! My oldest loves anything gingerbread. Thank you! I was thrilled to get that texture - wasn't sure I'd be able to. I love gingerbread, too - so exciting to be able to eat it again! 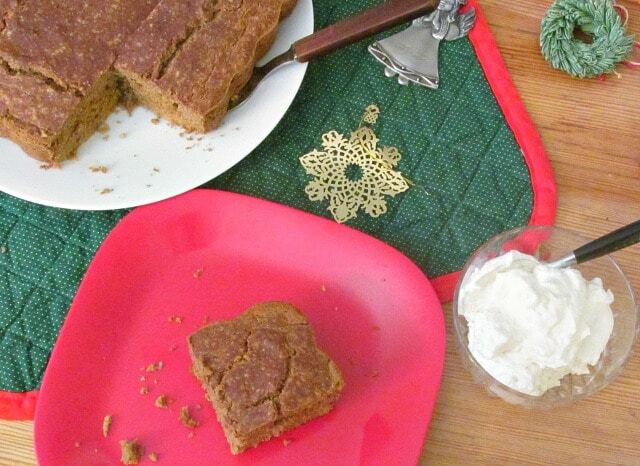 Sounds like a wonderfully delicious gingerbread that's also healthy! I LOVE that this if GF, it's so hard to find a great one! Mmmmmm! Thank you! Using teff flour made a real difference. It's not a flour I use normally, but every once in a while, it's just the right flavor. Mmm I love gingerbread! How cool that this is also gluten and sugar free!